The Indianapolis Prize—the world’s leading award for animal conservation—has announced the 2014 nominees, and we are so proud to see Woodland Park Zoo’s Dr. Lisa Dabek named among some of the very best in the field. Dr. Lisa Dabek, center, works in Papua New Guinea’s YUS region, home to the endangered Matschie’s tree kangaroo . Photo by Ryan Hawk/Woodland Park Zoo. Lisa Dabek is the Director of Woodland Park Zoo’s flagship conservation program, Tree Kangaroo Conservation Program (TKCP), and it’s for her international work saving endangered Matschie’s tree kangaroos and their Papua New Guinea (PNG) habitat that she has been nominated. Thirty-nine conservationists who have dedicated their lives to saving the Earth’s endangered species have been nominated to receive the biennial Indianapolis Prize. The winner of the Prize will receive an unrestricted $250,000 cash award and the Lilly Medal. Five other finalists will each receive $10,000. The nominees’ work spans the globe and represents a broad range of species including tree kangaroos, chimpanzees, snow leopards, sea turtles, giant pandas, and many more. Lisa founded TKCP in 1996 to foster wildlife and habitat conservation and local community livelihoods in PNG—home to the endangered Matschie's tree kangaroo—working with local communities to save the animal and the forest resources they share. 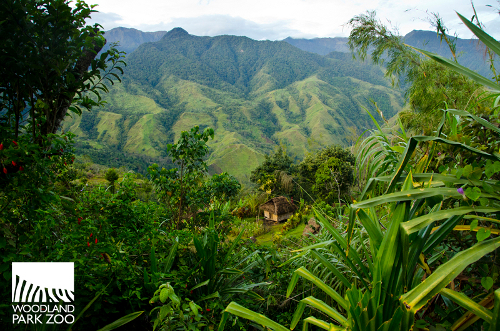 In 2009, TKCP worked with local landowners to help develop Papua New Guinea's first ever Conservation Area, officially recognized by the national government. Landowners pledged more than 180,000 acres of their own land to create the protected area for tree kangaroos, rain forest habitat and endemic species of PNG's Huon Peninsula. By uniting PNG landowners, government officials, and conservation partners, TKCP has created a community of conservation advocates to address long-term management for the Conservation Area and improvement opportunities to better the livelihood of the surrounding communities. Papua New Guinea village. Photo by Ryan Hawk/Woodland Park Zoo. 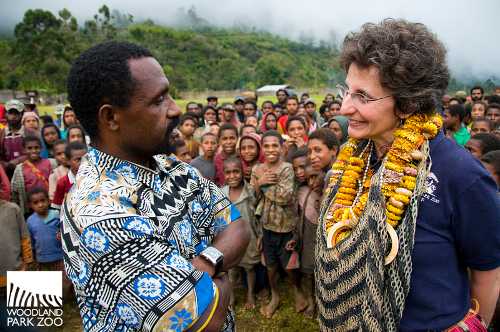 Dr. Lisa Dabek celebrates the creation of Papua New Guinea's first Conservation Area in 2009. Photo by Ryan Hawk/Woodland Park Zoo. So what’s next for the nominees? An international Nominating Committee composed of renowned professional conservationists and local representatives reviews all nominations and selects six finalists, who will be revealed in the spring of 2014. The Prize Jury will then determine the winner, who will be announced in mid-2014 and honored at the next Indianapolis Prize Gala presented by Cummins Inc., to be held September 27, 2014, in Indianapolis. Congratulations to Lisa and all of the other nominees for advancing the field of conservation! Baby giraffe gets a name!